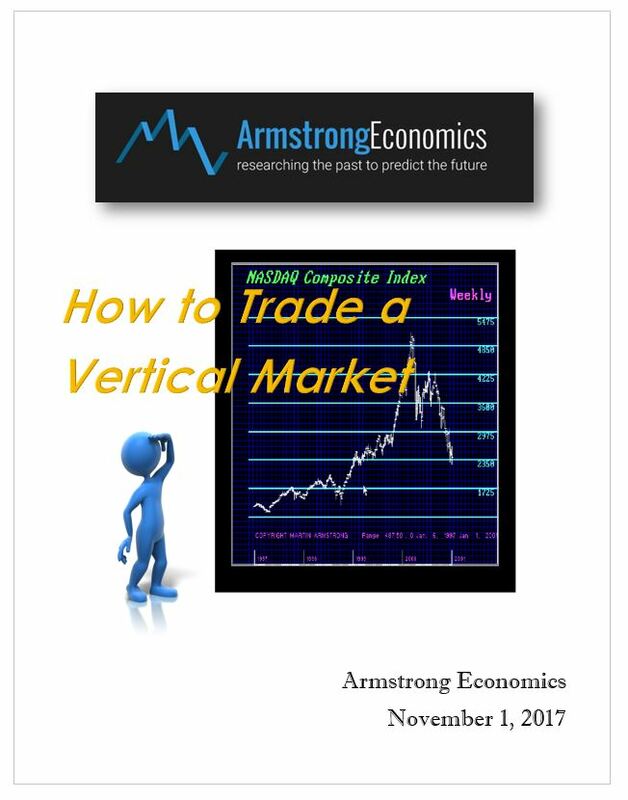 We face perhaps the most difficult market to trade in modern history – a vertical market. There are two major varieties of this type of market trend – the Phase Transition and the Plateau Move. This very special report is something that is absolutely critical to surviving the future. While the major keep calling for the stock market to crash and burn for the past 7 years, all we have witnessed is a market that has been relentless on the upside. The correction in the Dow has taken shape primarily outside of the US dollar. This is reflecting the vast surge of capital moving around the globe hidden by the currency movements. 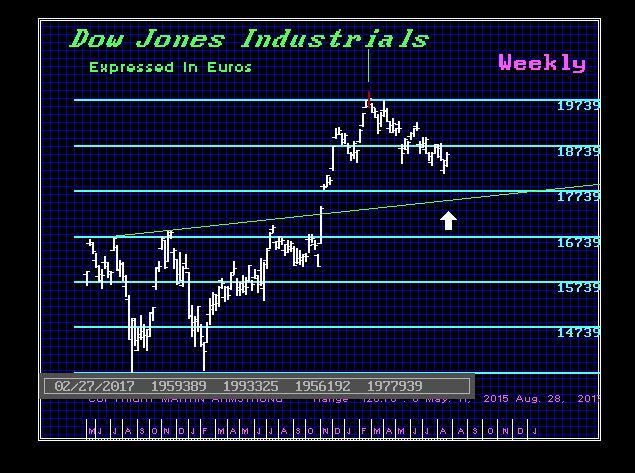 As the domestic analysis kept calling for a major crash, the decline for the Dow in terms of Euro since the February high unfolded on target into August. We have been warning that this was the year from political hell and the dollar would be under pressure primarily until at least the German election since it was Merkel who has been the backbone of the Euro. The report is going to be essential going forward into the years ahead. This will clearly show you how to trade this one and where to place your stop as the market unfolds. This will be a very important report for those who are into serious investment strategies. This Year’s Report will be included for the both Hong Kong & Orlando attendees of the 2017 WEC.